Do you enjoy sewing as a hobby or are you running your business as a sewist? Are you looking for the right machine but cannot find the machine that meets all your needs? Finding the right sewing machine that suits your needs can be quite a challenge. In fact, the market has a perplexing number of options to offer. So how do you narrow down the available options? We will talk about that later. It is a known fact that SINGER is one of the leading brands that manufacture high-quality sewing machines. 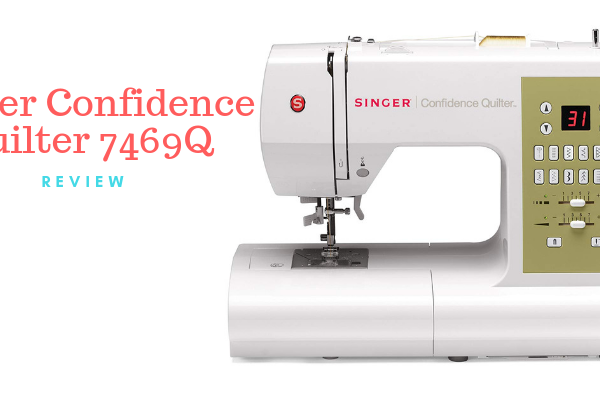 The product that will specifically be looking at in this review is the SINGER Confidence Quilter 7469Q. Let’s take a look at what the Singer 7469Q has to offer. 1 Why the SINGER 7469Q? Not all sewing machines are built to sew quilts. In fact, sewing machines built for quilting are heavy duty. 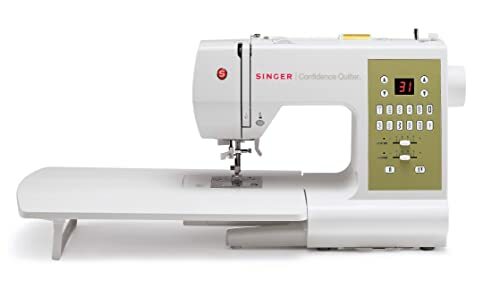 If you’re specifically looking for a machine that lets you make quilts, then the SINGER 7469Q might interest you. 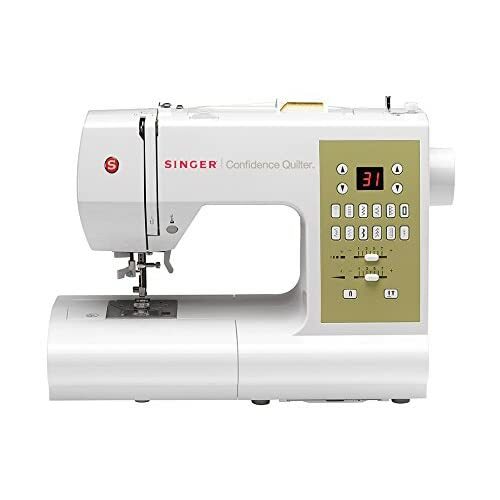 The variable needle positions in the Singer Confidence Quilter 7469Q allow you to perform a number of functions conveniently. At this point, you must be unsure of whether your purchase will pay you off or not. You can figure that out by digging deeper into what the product has to offer. 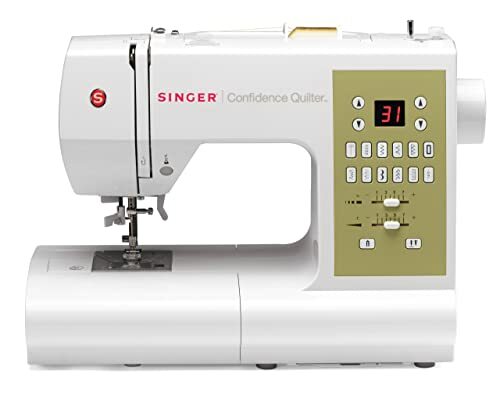 The SINGER Confidence Quilter 7469Q is a computerized electronic machine and has the provision for sewing quilts. It is also a portable machine with a number of useful features. The product offers you a choice of 98 different styles of stitches to choose from. 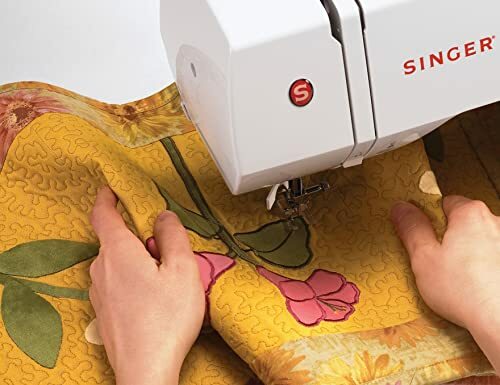 With the SINGER confidence quilter, it is easy for you to sew buttonholes in just one easy step. To get the right sized buttonhole, simply place the button in the buttonhole foot and let the machine work its magic. The built-in threader lets you thread the eye of the needle conveniently. This saves both your time and eyesight and makes your sewing experience less frustrating. Another value-adding feature of this machine is the easy drop and sew bobbin system. As a result, you no longer have to spend time on drawing up the bobbin thread! The tie-off button lets you tie-off the stitch to stop sewing automatically just when you want. The machine also allows you to pre-set it to perform the tie-off at the end of a stitch. This function is especially an added feature for quilters. You can lower feed teeth as per your requirement for button sewing or free-motion sewing. With the SINGER Confidence quilter, you can customize the appearance of a stitch. You simply need to adjust the distance between the stitches as per your requirement. The SINGER Confidence Quilter also allows users to adjust the size of the stitch from left to right. So, using this provision, you can make the stitch sew narrower or wider according to your need. Yet another important feature of this product is its adjustable presser foot pressure. This feature comes in handy when sewing very lightweight or heavyweight fabrics. It also gives you the freedom to increase or reduce the pressure of the foot presser as you require. The self-adjusting tension lets you choose your stitch by using a dial. Once you have selected the option, the machine will adjust the tensions automatically. With this feature, you can sew stitches in reverse, usually done to secure a seam at the beginning and the end to prevent unraveling. 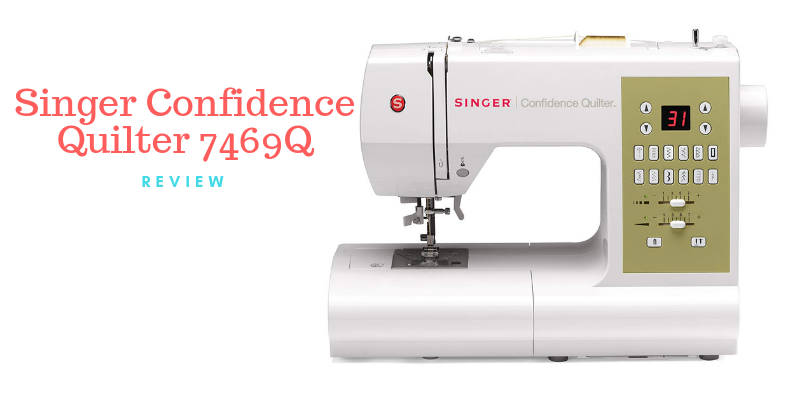 This is another great feature of the Singer Confidence Quilter 7469Q. It is equipped with 2 LED lights on both sides of the needle. As a result, this improves the visibility of the fabric needle and ensures a clear view of the sewing area. So now you know that the SINGER 7469Q is a high-tech, state-of-the-art sewing machine for sewing quilts. But questions still remain unanswered. Don’t worry; maybe what comes next will help! Now that we’ve given you a little detail of the product, you must be wondering what next? To help you sum up this myriad of information, take a look further. Since everyone has their own preferences, you can prioritize your list of needs and wants as per your requirements. You’ll also be able to find the 7469Q at other online stores dedicated to such machines. In fact, given the brand’s popularity, you’re sure to find the 7469Q in local stores as well. 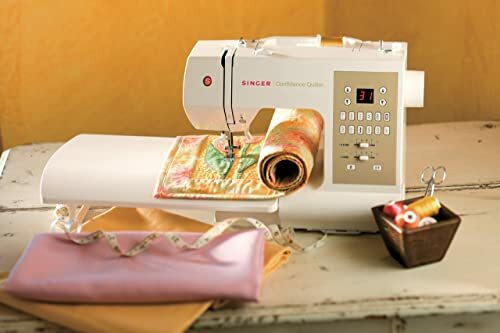 The SINGER 7469Q is an efficient sewing machine and has a wide variety of features and provisions to offer. It is also a computerized machine that allows you to customize your settings as you require. Moreover, the design of this product is user-friendly, making it suitable for both novices as well as expert sewists.